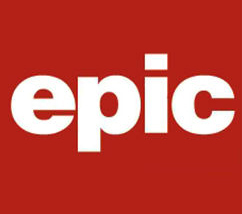 Three times per year, EPIC welcomes a new cohort of interns – young professionals seeking to add practical experience to their academic backgrounds in humanitarian affairs, international relations, security studies, political science, public relations, and beyond. We are grateful for their contributions to our research, action, and advocacy, and for the opportunity to connect them to Iraq and its people. Please join us in welcoming our Spring 2019 interns: Chisara, Emily, Grace and Molly! Emily Coletta is currently finishing her studies at the University of Connecticut with a major in Political Science and minors in Middle Eastern Studies, Global Studies, and Anthropology for graduation in May 2019. At the University of Connecticut, Emily was a contributing writer for the Undergraduate Political Review and is a member of the Alpha Lambda Delta Honors Society. She spent the spring of 2018 studying at Tel Aviv University. Emily has studied the Middle East for over six years and is currently studying Arabic with the intention of becoming fluent. Grace Marmaras is pursuing a Bachelor of Arts in Political Science and French Language and Literature at Furman University. During the fall of 2018, she lived in France with a host family as a part of a language immersion program directed by her university. Her interest in the Middle East began after taking a history course that gave some background of the region’s history in high school. While at college, she works with the on-campus organization, No Lost Generation, that reaches out to the refugee community in Greenville, SC and volunteers with local refugee families. Grace is passionate about understanding the refugee crisis, learning about humanitarian issues, and studying current affairs in the region and in Iraq. Molly Highman grew up in the San Francisco Bay Area and received a Bachelor of Arts in Global Studies from the University of California, Santa Barbara. As a student, she had the opportunity to study abroad in Sweden and Tanzania and later worked for the University of California Education Abroad Program. After graduating, she worked as an English teacher and musician in New York City. She is currently pursuing a Master of Science in Foreign Service at Georgetown University and is very excited to be interning with EPIC this winter and spring. Chisara Ibezim is originally from Wellington, Florida and currently attends Florida Gulf Coast University. She is majoring in Political Science with a concentration in Comparative Politics and International Relations. At FGCU, she is involved in a number of organizations including Student Government, Rotaract, and Future Business Leaders of America.